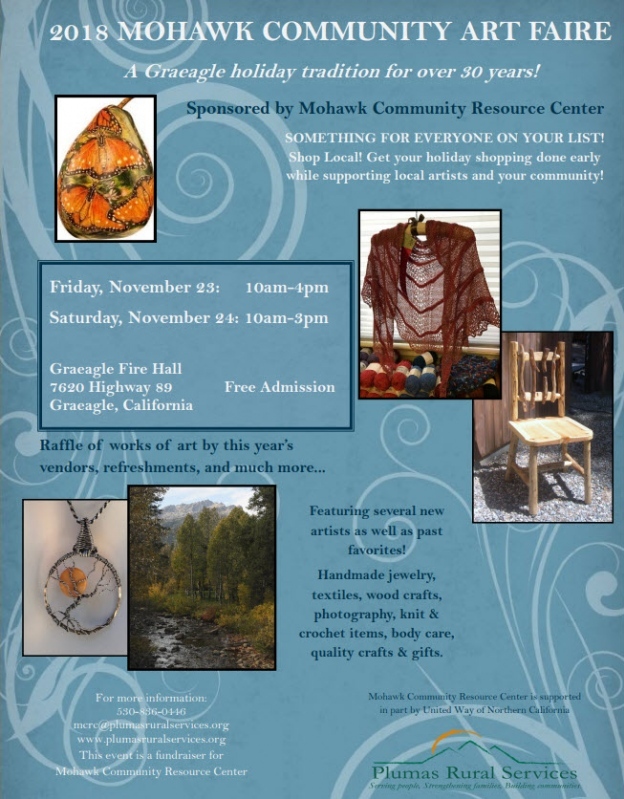 The Mohawk Community Art Faire is a Graeagle holiday tradition for over 30 years. The Faire features local artists offering handmade jewelry, textiles, wood crafts, photography, knit and crochet items, body care, quality crafts and gifts. Shop local! Get your holiday shopping done early while supporting local artists and your community. Food For Change is an 82-minute documentary film focusing on food co-ops as a force for dynamic social and economic change in American culture. This is the first film to examine the important historical role played by food co-ops, their pioneering quest for organic foods, and their current efforts to create regional food systems. Additionally, the film shows how cooperatives today strengthen local economies and build food security. The goal is to educate a wide audience about the principles of cooperation with a focus on healthy food and a healthy economy. Enjoy a night out on the town! Bring the whole family to Historic Downtown Quincy.